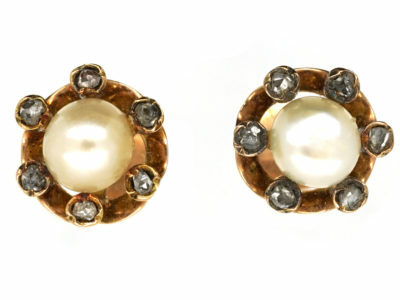 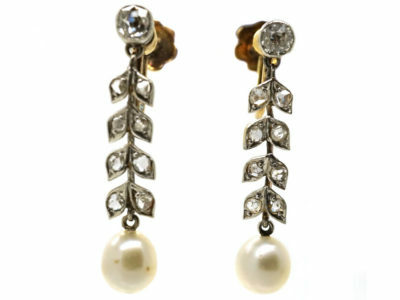 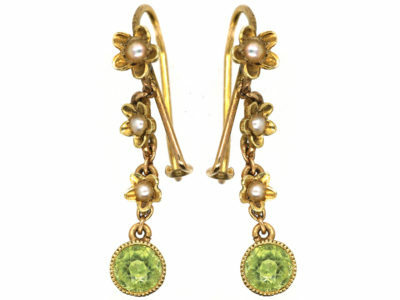 A lovely original pair of 15ct gold earrings that were made circa 1900-1914. 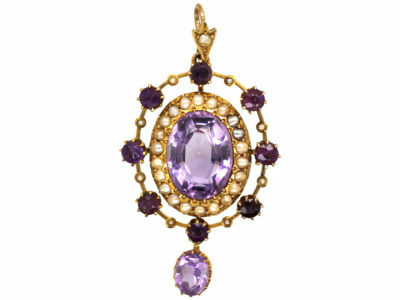 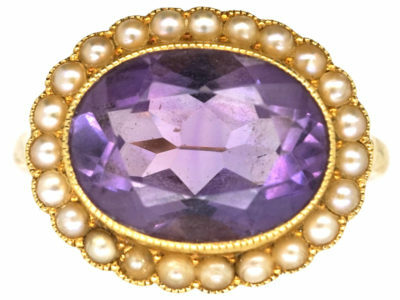 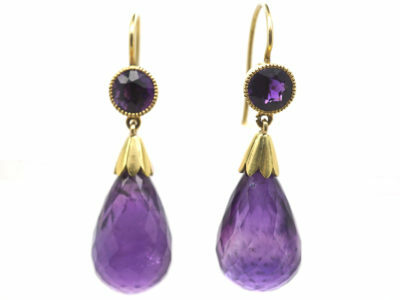 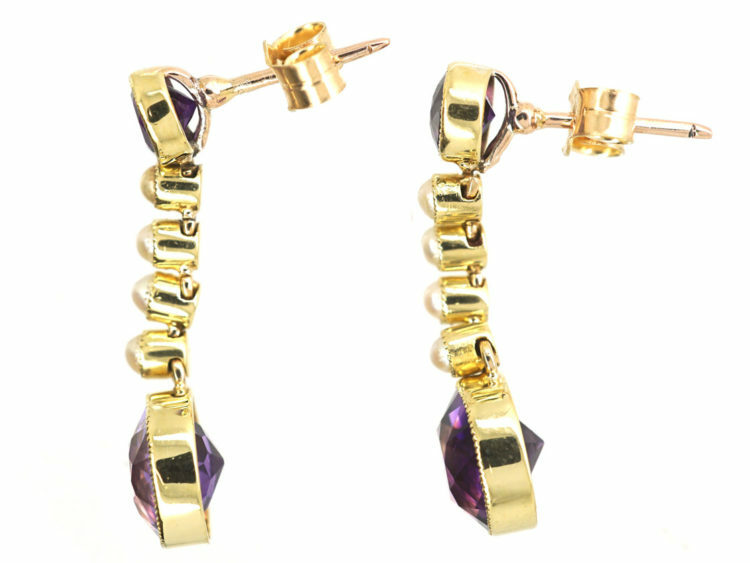 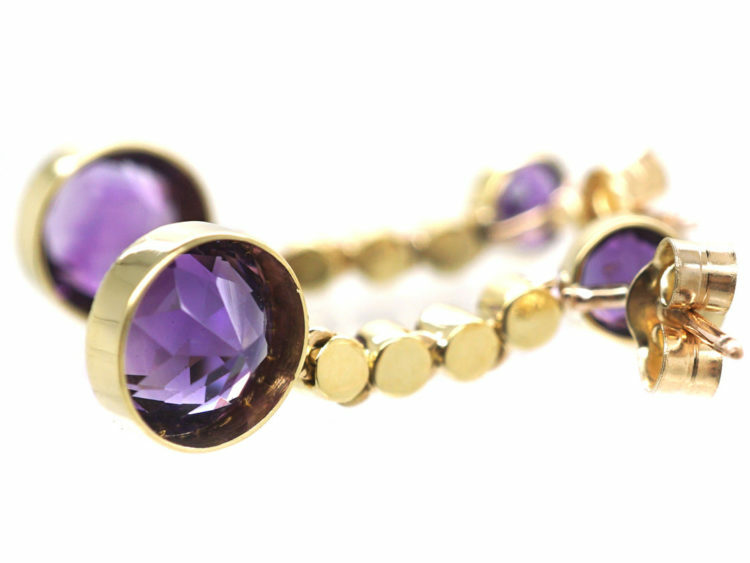 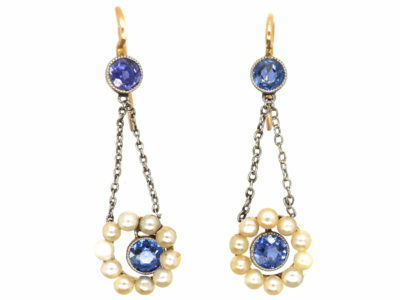 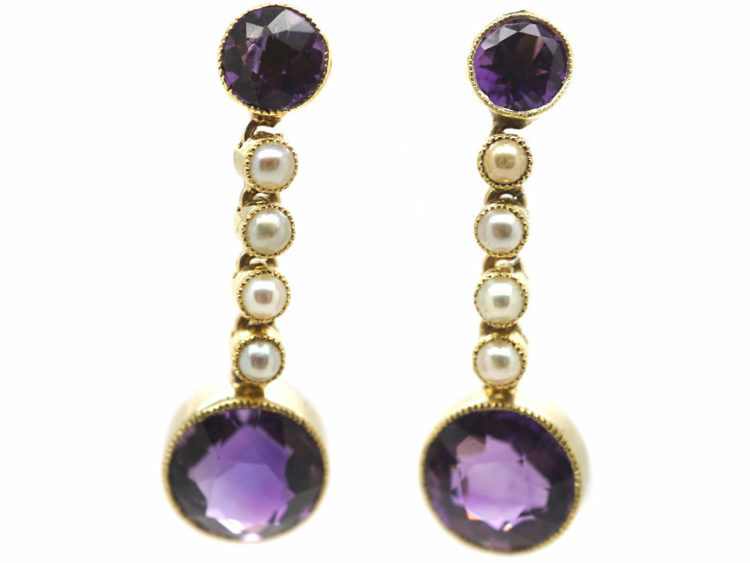 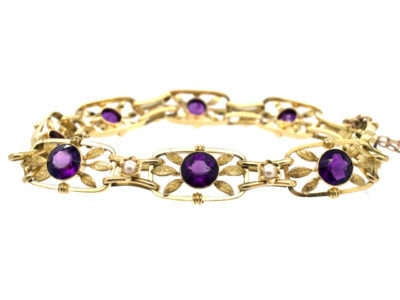 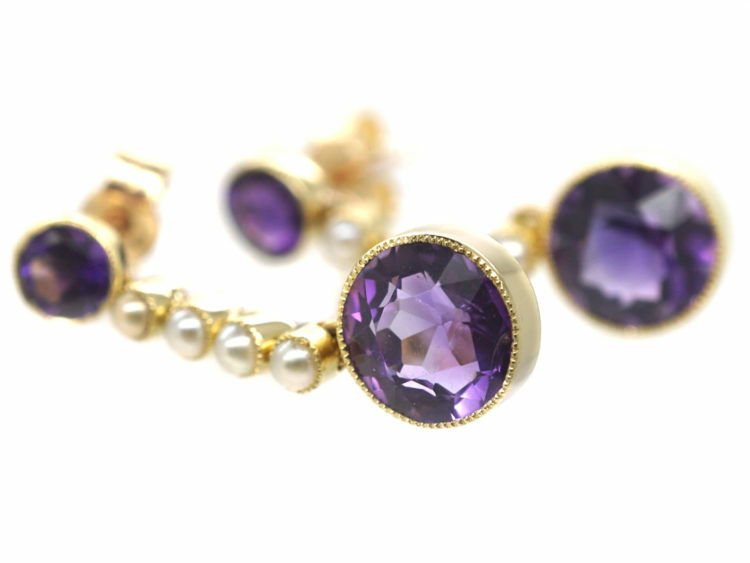 They have been set with well matched amethysts with four natural split pearls in between. 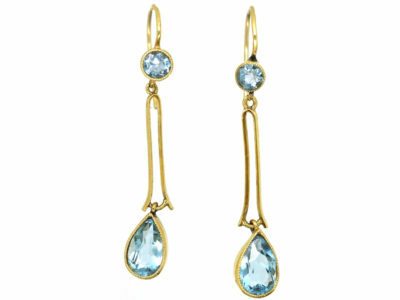 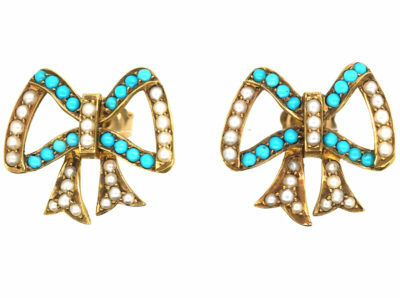 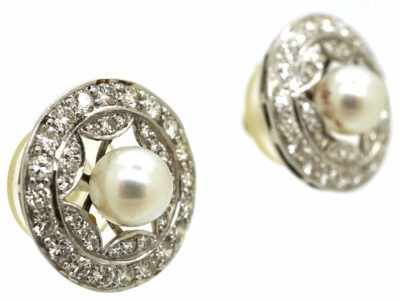 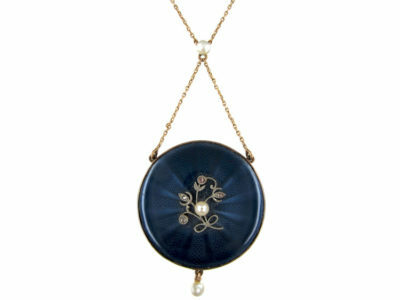 They are in excellent condition and would look wonderful with a matching necklace.